Join us today for the best possible tomorrow! Membership provides citizens a means to protect the beauty, health, and heritage of the Mobile Bay Watershed and our coastal communities. Your dedication has an impact on our home and our quality of life across Coastal Alabama and for that we are truly grateful. Active Members of Mobile Baykeeper receive 20% off at WildNative Tours. Become a member today or renew your membership and receive our signature promo code. 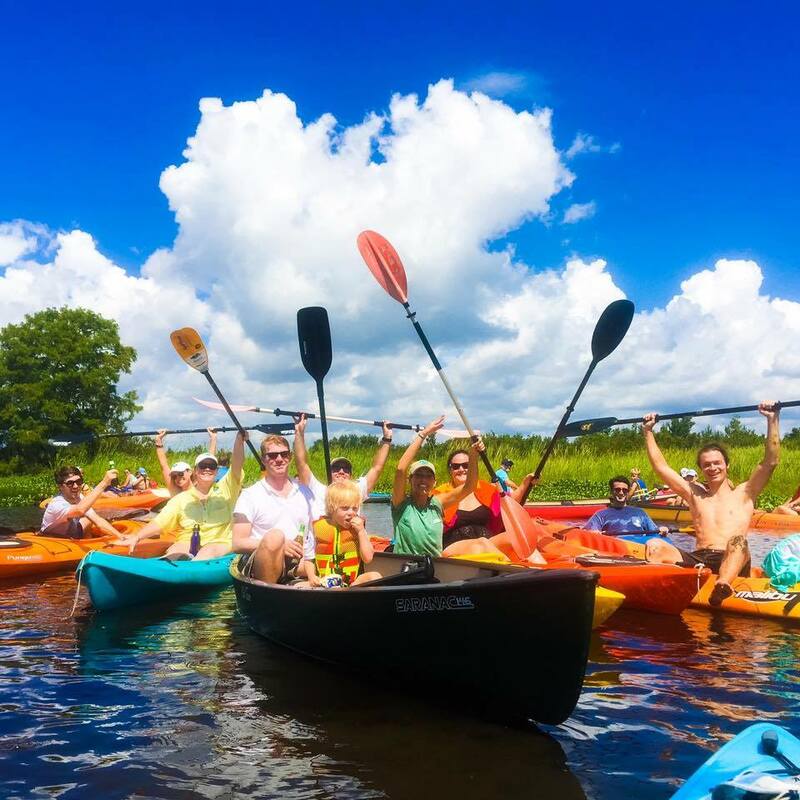 Members and Staff of Mobile Baykeeper enjoy an afternoon paddle trip to Whiskey-Ditch in The Mobile-Tensaw Delta. If you would like to become a member of the Visionary Society of Mobile Baykeeper, we would love to hear from you. Please contact Casi Callaway, Executive Director at (251) 433-4229 or callaway@mobilebaykeeper.org or Justine Herlihy, Development Director at jherlihy@mobilebaykeeper.org. Your membership is a partnership with Mobile Baykeeper to ensure a high quality of life and the protection of the rich natural resources in the Mobile Bay Watershed. Thank you for visiting our page and for your support! If you have any questions about your membership or BECOMING a new Member, please contact our Membership & Volunteer Coordinator, Chad Chappell, at cchappell@mobilebaykeeper.org or 251-433-4229.